Internet marketing gives you a long list of ways to show what you do. By using tools such as video, graphics and others, internet marketing allows you to share your story to potential clientele and cause them to want to be a part of your vision. Some of the elements that go in the internet marketing toolbox are blogs, email, social media, and webinars – and each of them bring a different aspect to the table. You can use it to build relationships. Thanks to email marketing, keyword phrase targeting and other ploys, you can get to know your customers better and craft a campaign that suit those needs. It is cost effective. While it can be difficult to compete with large companies in a traditional marketing approach, internet marketing offers a more equal playing field. Better yet, you can spend less – sometimes under $3 a day- and reach a large number of people. Many people feel that the only significant cost of internet marketing is the time investment (and that’s where Page Progressive comes in!). Digital marketing is measurable. 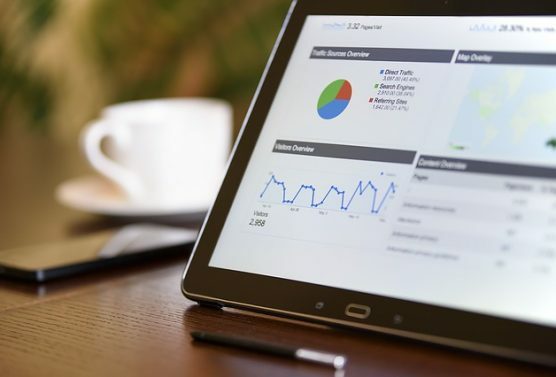 Unlike a print add in a magazine or paper that might get read or TV/radio commercial that might be listened to, internet marketing campaigns can be tracked for their performance. You can see which tactics are working and which aren’t – then adjust to be more successful. You can target your ideal customer. When placing a traditional ad, you are unable to know exactly what demographic you are reaching. With digital marketing you can set a number of parameters such as age group, gender, income, and others. Most consumers do online research before making a purchase. Today’s consumers are savvier than ever. They will spend time reading online, watching forums, asking questions, etc. to learn about a product. By creating content that is optimized for search engines, you can improve your online visibility. Internet marketing makes use of your social media platform(s). Nearly every social platform available has some form of advertising available. Set up accounts – if you don’t have them- and use the platforms to promote who you are, what you do and to show clientele how your product/service can benefit them. Deciding how to market your business and pursuing it should be a part any company’s approach – no matter how large it is. But despite the importance of marketing many companies still miss the opportunities found in digital marketing. It might be because they don’t want to spend the money, don’t know where to begin or maybe they just don’t understand how to take advantage of it. The Page Progressive team has much experience with internet marketing and can take your business to the next level. Contact us today to learn how we can help you get more out of the internet.